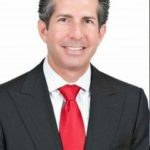 As president and managing broker of RE/MAX Advance Realty, Anthony Askowitz directs the activities of approximately 150 real estate agents in the company's Kendall and South Miami offices. His agents consistently outsell their competitors from the leading (and larger) Miami offices, often by wide margins. The Miami native is also an active and productive agent, consistently selling more than 150 homes a year. Visit www.advancerealtymiami.com and www.askaskowitz.com.